Click here to DONATE to support the care of Yukon Sky! 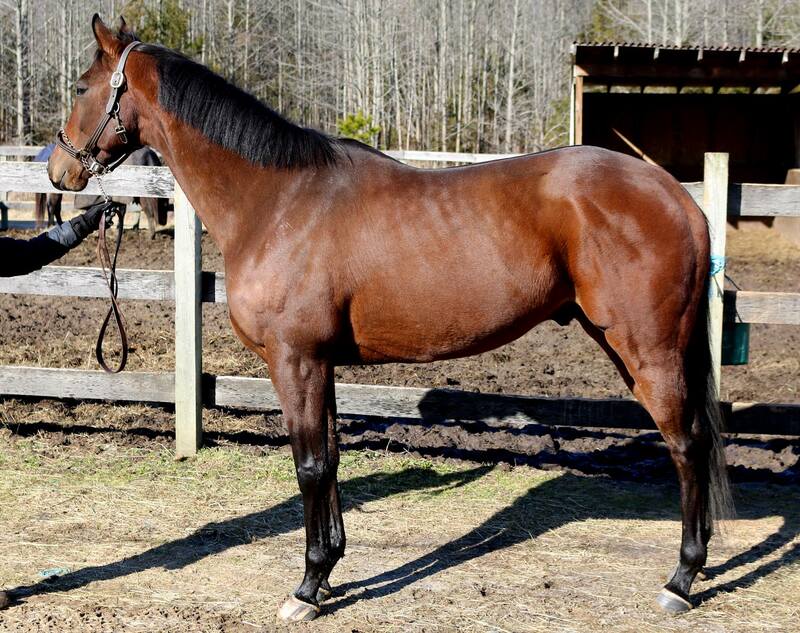 Yukon is a classy gelding who is ready to move on to a second career. He raced 32 times and won over $70,000. He has a silly personality, no vices, excellent barn manners, and a nice sturdy build. He retired sound with no limitations, and was with trainers who take excellent care of their horses. He is very well behaved under saddle and has even been ridden by one of our young riders. 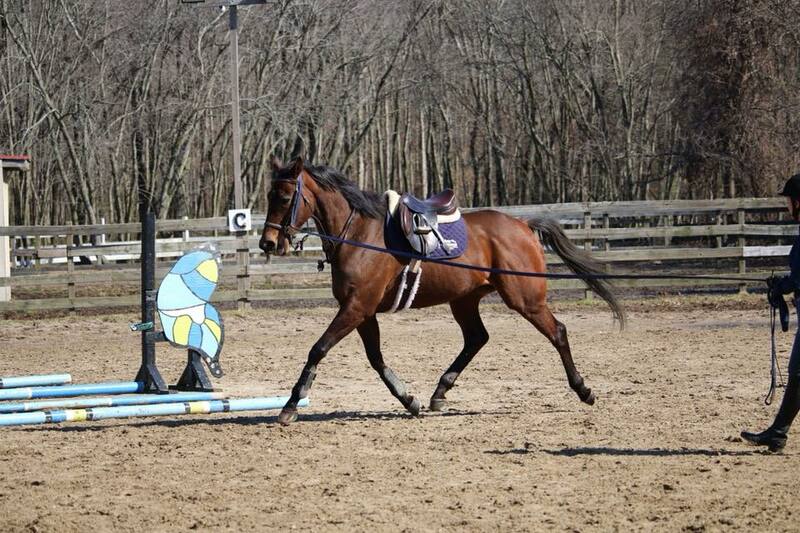 He feels powerful under saddle, and would be a fun dressage, jumper or event horse. He is a Holy Bull grandson, with Kris S and Unbridled on his dam side. What a beautiful boy! Yukon was claimed several times during his career, and we would love for him to find a home where he can bond with "his person". On a scale of 1 to 5 with 1 being Calm and 5 being Spirited, Yukon Sky is a 3.00. 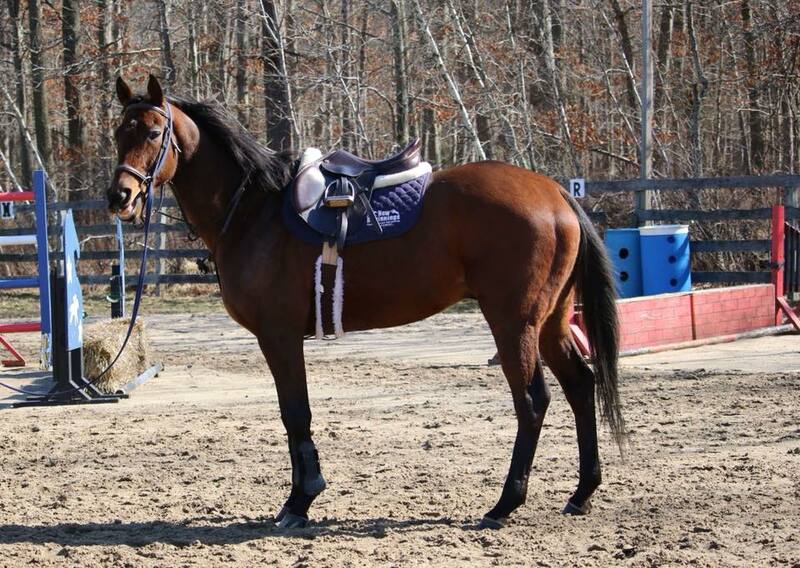 Yukon is a classy gelding who is ready to move on to a second career. He raced 32 times and won over $70,000. 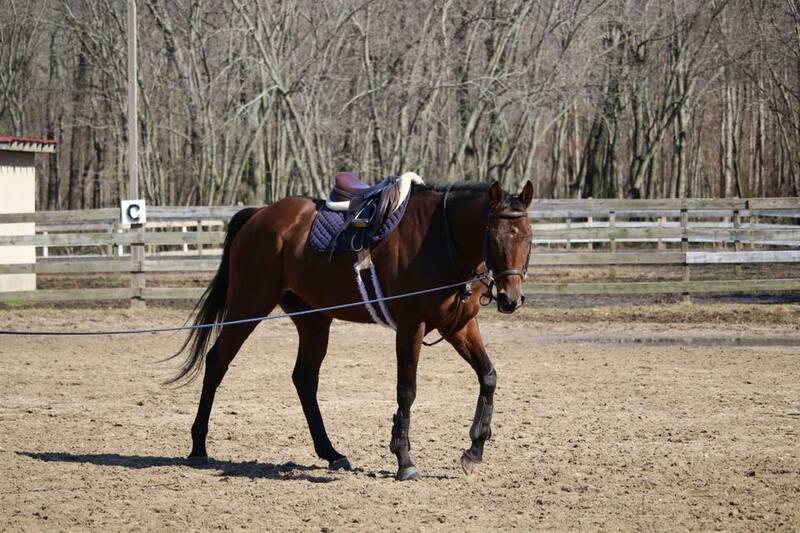 He has a silly personality, no vices, excellent barn manners, and a nice sturdy build. Yukon retired sound with no limitations, and was with trainers who take excellent care of their horses. He is very well behaved under saddle and has even been ridden by one of our young riders. 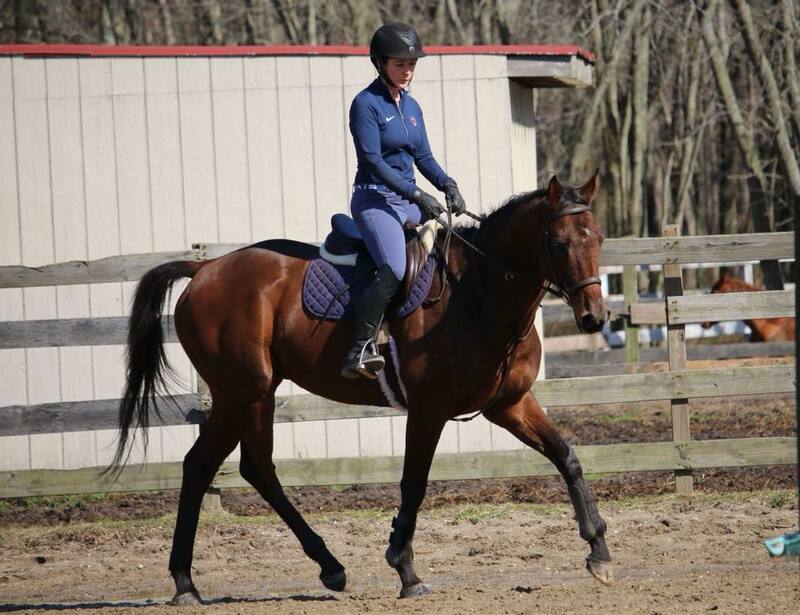 He feels powerful under saddle, and would be a fun dressage, jumper or event horse. He is a Holy Bull grandson, with Kris S and Unbridled on his dam side. What a beautiful boy! Yukon was claimed several times during his career, and we would love for him to find a home where he can bond with "his person". Where is Yukon Sky located? Yukon Sky is located at Serenity At Last Farm, 1064 Southard Maxim Road, Howell, NJ 07731.